Coming Soon: SEA Paddle NYC. First off, riding waves is almost too much fun. Almost nothing makes me giddy like a glassy summe r session in (these days) Matunuck, Rhode Island. That said, giving back to the community specifically as a surfer is just as rewarding. At SIS, this has become known as the “good surfer” doctrine: Positive recognition for good action as opposed to stylish turns. In California, we supported numerous surf related 501(c)3’s. We were on the Executive Committee of Ventura’s Surfrider Foundation, planned “surf and service” trips with college students from CU Boulder, and took blind, autistic and handicapped children surfing with the Best Day Foundation at no cost. Although the SIS headquarters have switched coasts to the Atlantic, being a “good surfer” continues to be at the forefront of our energy and focus. 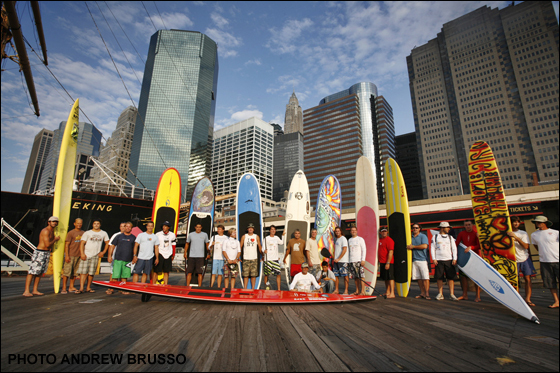 On August 13th, I’ll be participating in SEA Paddle NYC. 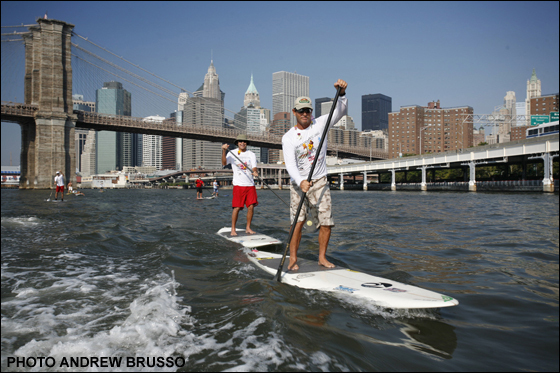 This is a 6-hour, 28-mile journey around all of New York City on a Stand Up Paddle Board. So far, and by August 4th, the event has raised $158,752 with an overall goal of $250,000. 50% of the dollars raised will support ongoing and new projects of the Surfers Environmental Alliance and the other half will support 7 non-profits like the Best Day Foundation that are focused on Autism research and taking children with special needs surfing at no cost. So far my personal network has helped reaise $1,080 and I’m aiming for $1,500. Please stoke us out with a donation of any amount to help protect our oceans and create special days for special children. Feel free to contact andrew@surfisswell.com regarding any questions you may have about the event or how the funds will be used.